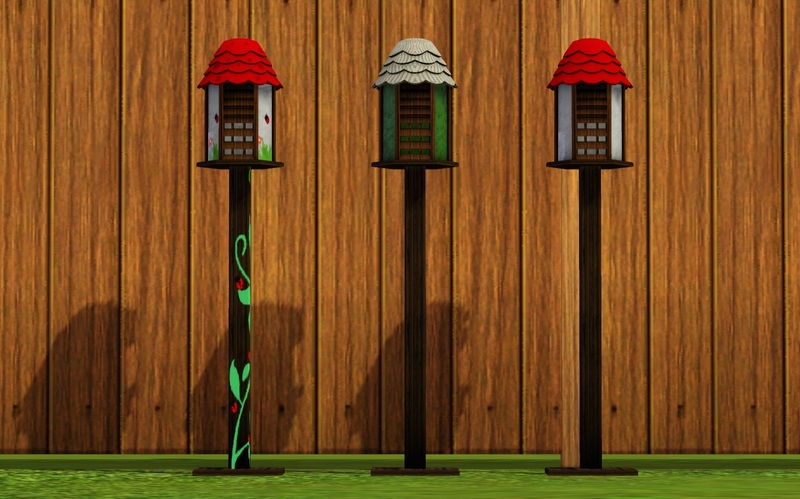 I have always loved the ladybug house from the sims 2 and really wanted one for the sims 3! 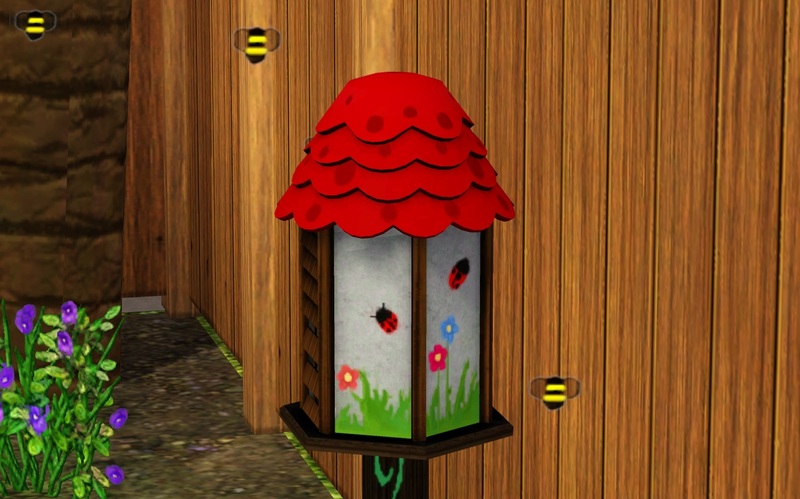 So here it is, a converted ts2 to ts3 ladybug house (Or well.. Bug house) I gave it 3 different color options and they're CAStable. 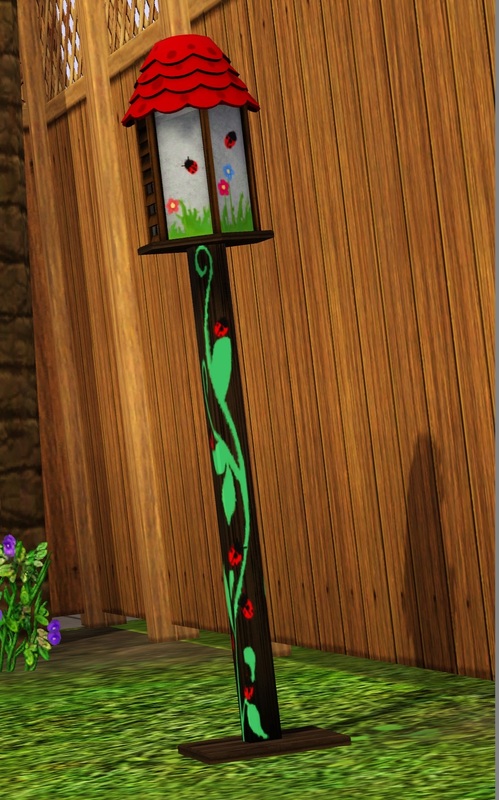 I also chose to edit the painted bits from it, which is a stencil and 2 without the stencil! Like the bold line says, it's a default replacement! It might need supernatural for it to work, just to be safe, since I didn't get the chance to test it without supernatural. 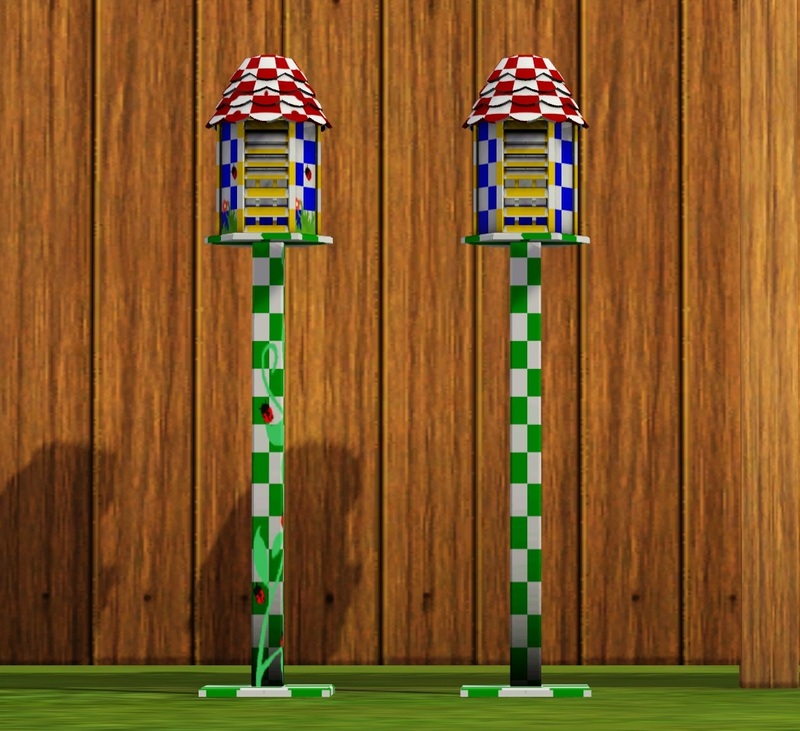 I do think that it needs it though since I found it's texture file in the EP7 folder's deltabuild and not in the basegame's deltabuild. 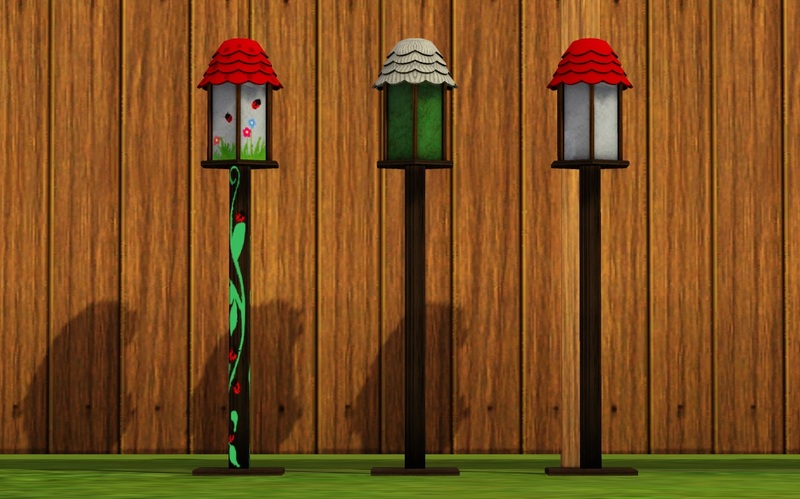 The bug house is riiight under Outdoors>Lawn Ornaments>Ts2 to ts3 bughouse, price 100 simoleons. 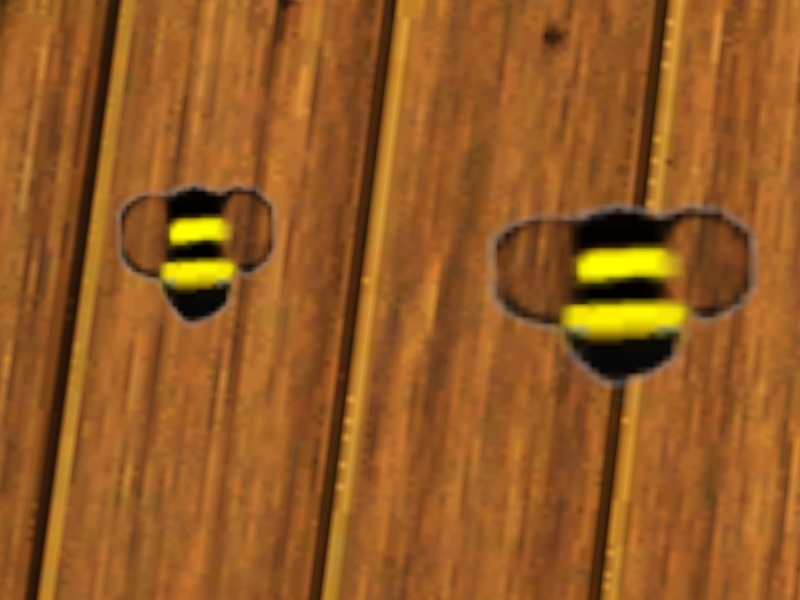 One thing, the bees won't show up directly. You need to unpause your game and wait for about 2 seconds to see them showing up. If they don't show up however, please let me know in the Comments! If you want to create a download which has it's own effects, feel free to use this download as a base! However, do not reupload the download though! Please credit me as well! Do not reupload with money making links. And All the amazing people from the MTS chat! 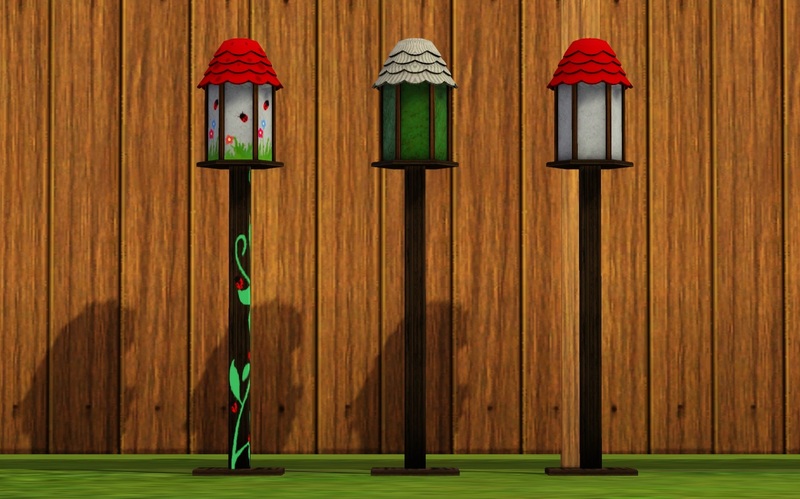 ts2 to ts3 Bughouse - greenplumbbob.zip | Description: The bug house - Bee default replacement is NOT required to get it to work! 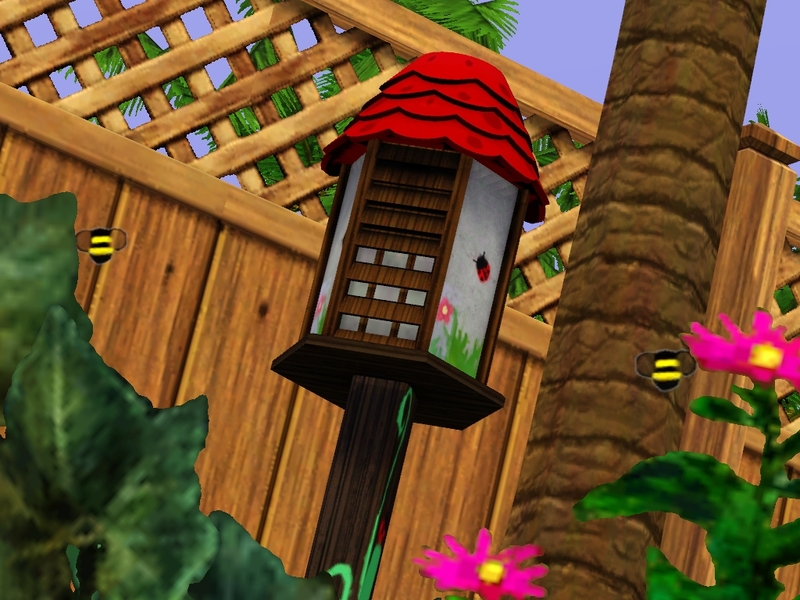 EP7BeeDefaultReplacement - Greenplumbbob.zip | Description: Bee default replacement download - Needs supernatural to work! Might work without it but just to be safe!